The Hobbs staff consists of ten dedicated employees. Of these employees, three are manufacturer-certified technicians able to support your copier needs. We have an additional seven employees in administrative support, your calls are answered by a real person and not by an automated system. Our staff can support all aspects of service, dispatch, local billing and all other administrative aspects of this contract. We look forward to showing our customers a much higher quality of service, parts supply, billing expertise and decision-making combined with southern courtesy. 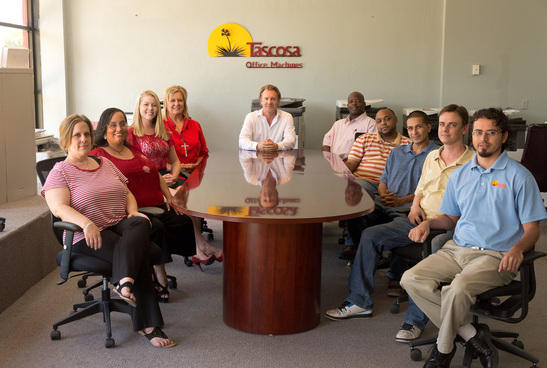 We do not hide the fact that Tascosa Office Machines does not always offer the cheapest price in town. (You get what you pay for!) We are offering you the best support and equipment in terms of value, reliability and maintenance after the sale!